The more advanced hearing aids have more programs, are more intelligent, can to a greater extent adapt to more complicated sound situations and can offer diverse zoom and filtering programs. The most advanced devices are generally also those which can be easily integrated with other electronic products such as TVs, smart phones and computers. 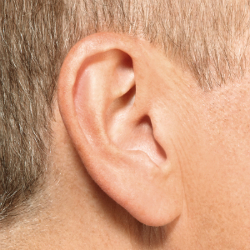 Tinnitus is often accompanied by a hearing loss. 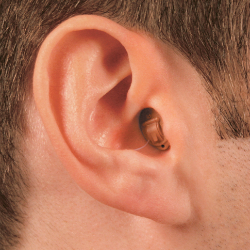 If an examination shows that you have both tinnitus and a hearing loss, you may benefit from using hearing aids. Hearing aids improve your hearing and improved hearing mostly reduces the experienced tinnitus.Some of the more advanced hearing aids contain the newest functions in managing tinnitus and hearing loss. 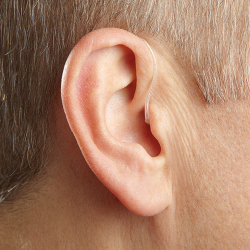 Hearing aid users prefer two hearing aids over a single device, according to studies. Two hearing aids make them better able to keep up with conversations than people wearing only one hearing aid. Having tried both for limited time periods, 93 percent preferred using two hearing aids rather than one, according to a Dutch study. 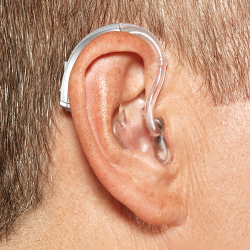 The study found that two hearing aids were superior in terms of speech recognition and sound discrimination. My hearing aids are a God send because my wife was at her wits end with having to repeat most of what she said because I was saying ‘What?’ or ‘huh?’, now I can understand her! I also didn’t realize what I was missing with my hearing loss, I can now hear car doors shut, birds chirping, jingling keys and most importantly emergency vehicles coming in the distance. Florida Medical Hearing Centers in Winter Garden is one class act operation. Dr. Troast is one of the finest doctors I have had the pleasure of interacting with. I really appreciate how he talks in a calm and understanding voice and explains everything quite well. Keep up the good work! I would like to thank Dr. Troast for giving me a part of my life back! My being able to hear is a blessing! I rank Dr. Troast right up there with my cardiologist, he is a major part of my life. After putting my hearing aids in the first time I walked outside and I could hear the wind blowing through the bushes. I honestly stood there and cried! Thank you for helping me with my hearing aids. I looked and researched for about 2 years. I had heard many bad stories but then I found you and you gave exceptional service and were caring. You tested my hearing and I was pleased with the hearing aids you picked for me. They are very comfortable, self-adjusting, and I forget I even have them on. It’s a pleasure to hear so clear and to wear them. Words cannot express how appreciative I am for your great service and to your staff for a wonderful experience.